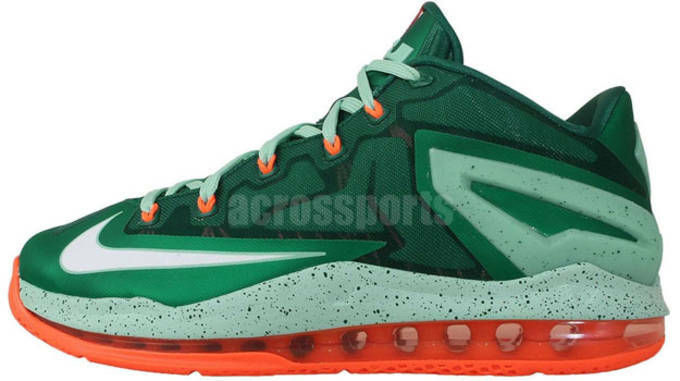 While the LeBron 12 is still a ways away from being officially unveiled, the team at Nike is proving they still have plenty planned for the LeBron 11 model, as they just announced an official release date for the upcoming "Biscayne" colorway. 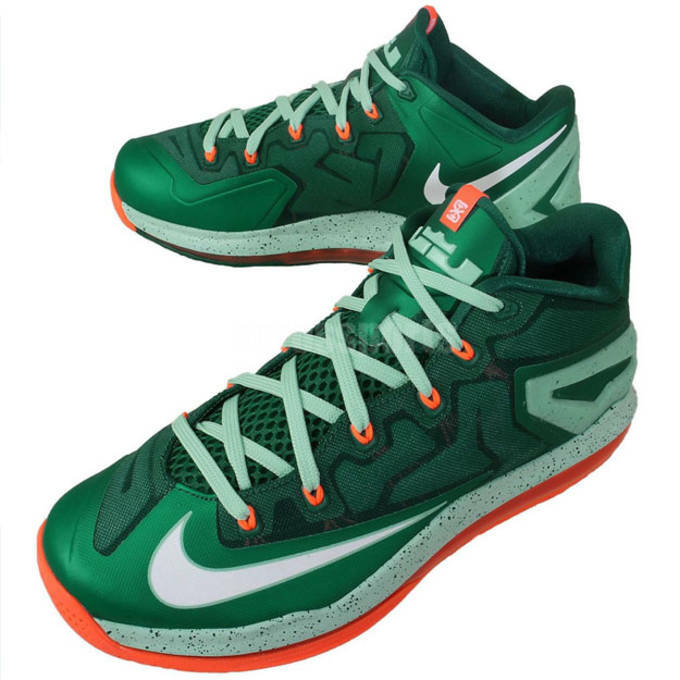 Inspired by Miami&apos;s famous Biscayne region, this LeBron 11 Low features the distinct and vibrant colors found in the tropical region. 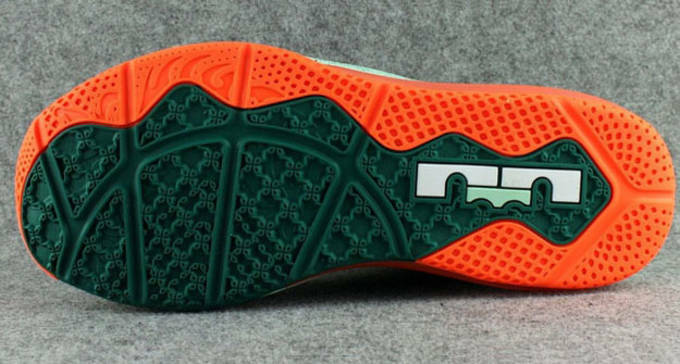 The shoe features various shades of green throughout the Hyperfused upper, and is complimented by orange hits through the Dynamic Flywire, tongue tab, Max Air bag and outsole. 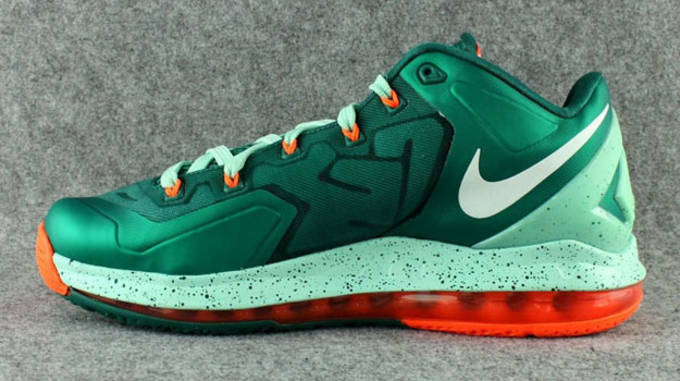 This colorway is very reminiscent of the LeBron 9 "Cannon", which turned out to be one of the most popular colorways in the LeBron lines history, so expect the "Biscayne" model to follow suit on that end. 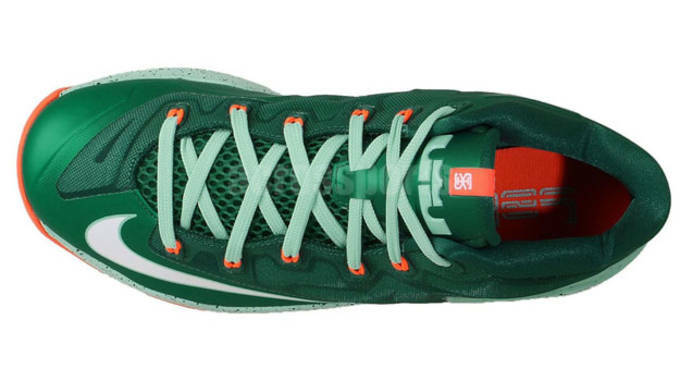 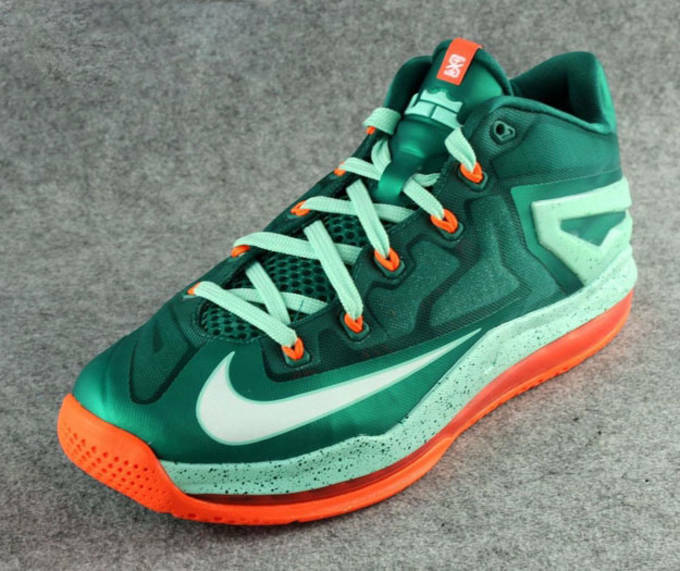 The LeBron 11 Low "Biscayne" will be available beginning September 6 at the Nike Store and select retail locations.